Whether you intend to make moving a DIY affair or hire some trusted local movers, there are no two ways about it: moving is expensive. However, that doesn’t mean you’re doomed to pay more than you should. A little knowledge goes a long way. To help keep you on top of things, and to give you some pointers on effective cost-saving measures, follow this financial health moving checklist. The cost of your move has everything to do with how much stuff you are moving. This is true regardless of whether you are doing it yourself or hiring professionals. Anything you can get rid of now will save you money and valuable space on the moving truck. Trash the things which can be trashed, donate items which can be donated, but don’t forget to look for money-making opportunities wherever you can. Have you been stashing antiques in the attic, not sure what to do with them? List them for sale. Have your children outgrown some toys that have collector value? Have a yard sale. Even putting $50 in your pocket is positive. If you are using professional movers, obviously you will want to call around to several companies to get quotes and estimates. However, even if you’re pretty sure you are going the DIY route, it may be worth it to compare prices as well. Remember, DIY is only “free” if your time is worth nothing – and DIY moving certainly takes up loads of your time. Try to draw up a realistic budget of what moving will cost you in terms of truck rentals, gas, tolls, multiple trips, and days off work, and put that up against the cost of a reasonable moving company, then make your decision from there. There are two very important things you should do to help protect your belongings on moving day. The first is to create a box which will stay with you in your car throughout the entire move. In this box should be anything valuable that would be irreplaceable if lost or stolen. So, jewelry, cash, special heirlooms, etc. Also in the box should be your personal documentation: birth certificates, passports, Social Security cards, credit cards, etc. Make sure you have this for every single person in the household. The other thing to consider is purchasing moving insurance. This will protect you in the event that something unforeseen happens. Even the most careful movers in the world may encounter a pothole which rattles the contents of the moving truck a little too much. Insurance can help you replace items which have been broken or damaged in transit. In some cases, utility companies will charge a one-time “startup fee” to turn on service at your new home. This may be as little as $15, but in some cases, it may exceed $100. When you consider that there may be hidden fees for phone service, electricity, water, cable, gas, oil, sewer, and trash collection, you could be looking at several hundred dollars just in startup fees. The best way to tackle this problem is to ask your utility companies outright if they charge a startup fee, and if there is any possibility of that fee being waived. For instance, if you have been a loyal customer of the same cable company for 20 years and have never missed a bill – hey, it can’t hurt to ask. The # 1 most straightforward way to get behind on your bills is to allow them to get lost in the mail, or hung up at your old address. You can avoid late fees, and stay on top of your finances more accurately if all of your mail is appropriately forwarded to your new address. It’s also essential that you let all of your utility companies know that you’re moving, so they are not still billing you for utilities you aren’t using. How many trips do you think you’ll make to the hardware store within your first week of moving in? How many nights do you think you’ll be way too exhausted to cook dinner at home and opt to order out instead? Each of these instances will cost money, so it’s important to set aside a sort of post-move slush fund to help cover these expenses. No matter what, the best thing you can do to stay on top of your finances is to prepare in advance. If you have a move coming up, start writing out your budget and comparing prices at least two months in advance. You will be in much better financial shape for having done so. 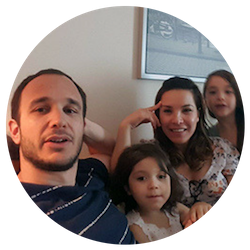 Niv Orlian is a blogger at Golan’s Moving, a site all about moving, and related topics such as real estate, home moving tips, and general household tips.